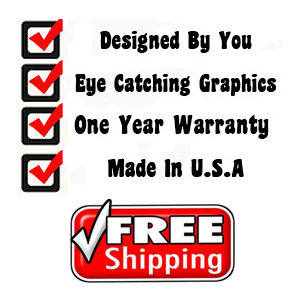 You design it! We build it! 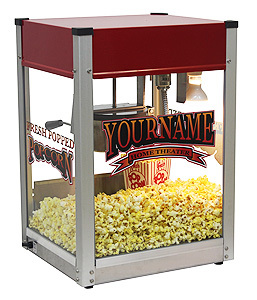 Make the most of your popcorn machine investment by adding a personalized graphic at no extra charge. These make great gifts. Got a home theater? Put your last name on your machine. Two graphics to choose from "Home Theater" & "Man Cave" Just choose the name that will fit above it. Best if name is 10 or less letters. However, we will do our best to accommodate. The customized graphics will appear on the front glass of the machine. Please choose the machine that is right for you.